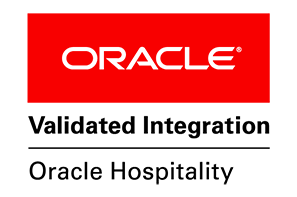 Miami – October 2, 2018 – Hapi, a Gold level member of Oracle PartnerNetwork (OPN), today announced that it has achieved Oracle Validated Integration with Oracle Hospitality OPERA 5.5. A disruptive new data streaming, integration and enrichment platform designed to solve the hotel industry’s rapidly expanding data management challenges, Hapi’s comprehensive platform aggregates data that is collected by disparate hotel systems and acts as a central hub for these hospitality data streams. The data is converted into a standardized data format and can be merged to create insights for more actionable data. To achieve Oracle Validated Integration, Oracle partners are required to meet a stringent set of requirements that are based on the needs and priorities of the customers. Through the new integration, both hoteliers and solution providers can access a set of simple APIs and connectors that allow them to innovate and deploy solutions faster and more efficiently. Developed by a team led by hotel technology innovators Luis Segredo and Nikolai Balba, the Hapi data streaming platform is based on the most advanced and robust technologies available, including Apache Kafka, the same proven technology that runs some of the world’s largest social media and security-conscious business services, such as LinkedIn, PayPal, Cisco and many others. To this proven foundation, multiple layers of encryption, authentication and governance are added to ensure maximum data security and efficiency. Hapi is a disruptive data streaming, integration and enrichment platform designed to solve the hotel industry’s rapidly expanding data management challenges, while also addressing the traditionally high integration costs and lack of vendor alignment that inhibits innovation and efficiency. Developed by experienced hotel technology leaders, the secure, scalable cloud-based Hapi data streaming platform is an open source model based on the same proven technology that runs some of the world’s largest social media and business services, to which multiple layers of encryption, authentication and governance are added. With headquarters in Orlando, Florida, Hapi provides services worldwide. For more information, please visit hapicloud.io. Contact: Andrea Mane, Plan A PR & Marketing, Inc.